Short on time? We understand, and that's why at SmugMug you get everything you need to polish your site with minimal work. If you can click a mouse, you can make a beautiful website. Here's how. Step 1. Add some photos! When you open a new SmugMug account, you'll want to add photos to it right away. There are many ways to upload your photos, from our built in browser based uploaders to the Publish Service for Lightroom users. Step 2. Tweak site-wide stuff. We'll land you on your brand-new beautiful homepage. From here, you can change the look and feel of the elements that will appear across all your site's pages: Add a background image, your name to the header, change text on your menu bar, and put your brand name in the footer (just as examples). GROUNDBREAKING FYI: At this point your site is good to go. Simply hit the Done button at the top and your new website will be visible to the world! But if you want to make further personalizations, keep reading. We start you off with the versatile SmugMug design, but we have 20 other beautiful site designs for you to choose from. 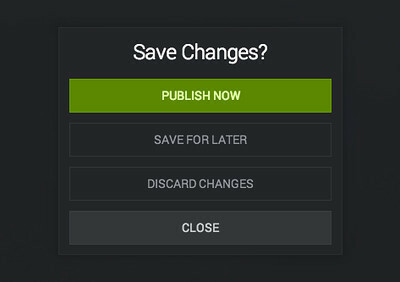 Click Choose a New Site Design to see them all. Each one comes with an out-of-the-box, designer-approved layout, font choice and color scheme. We give you a huge variety to fit many styles of photography, so scroll through and pick the one that speaks to you. Can't commit? That's OK! You can create several looks using several designs, save them all and swap between them at any time. You'll be able to use the "SmugMug" design and change its look and feel, but you'll need to upgrade your account to use the other Designs. 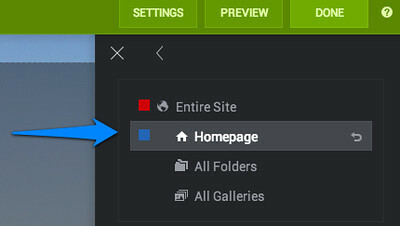 Click the Customize > Content and Design button at the top to open the customization mode. Most designs already include a basic navigation bar with a way for your viewers to get back to your homepage, view your site content on a Browse page, and search for a specific photo. 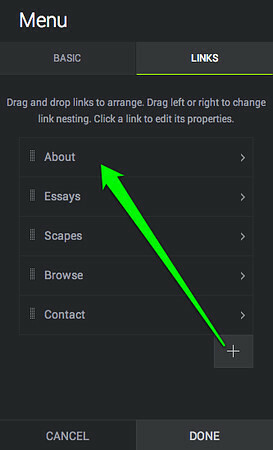 You can add more links by editing this content box. Designs have their own color schemes, but you can pick individual page colors and fonts if you prefer a different feel. 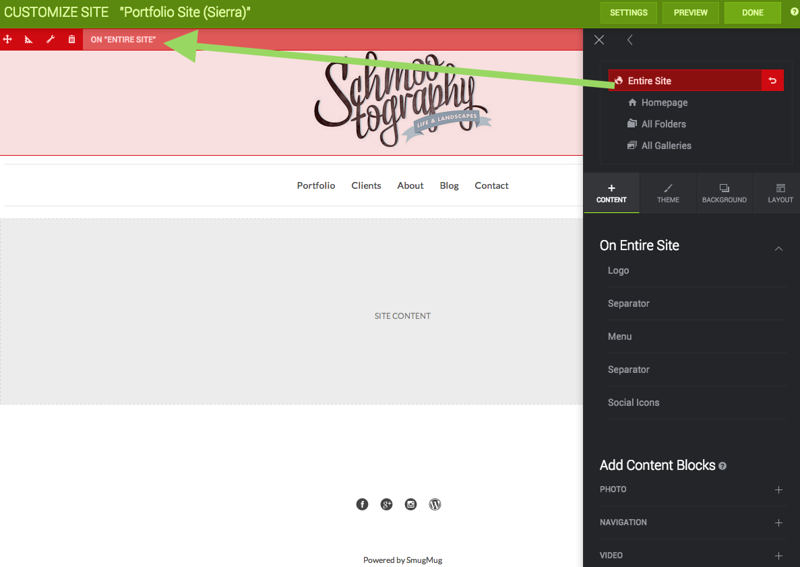 If you have a Power, Portfolio or Business account, you'll see the option to tweak the footer to add your name, social buttons or whatever else you wish. Your Design will include various galleries and content to your homepage, but you can edit them (or add more!) by clicking Customize > Content and Design and making sure your Homepage is selected. This is the fun part! Drag and drop, remove or edit the individual content blocks that appear on this page. You'll know where they can go when you see a green shaded box appear. Note that you can stack content blocks one after the other, or line them up to create columns across the page. The page elements are color coded, so you can edit any level content block from any page. For example, if you click the Customize button from within a gallery, you can still tweak site-wide things like the header and footer. Once you're happy with the content blocks you've put there, you can click Preview to see your changes without the customization menus covering the screen. Love it? Hit Done! We'll publish your new site so that it's on view to the world. Congratulations! Bonus Step 5. Make more stuff. 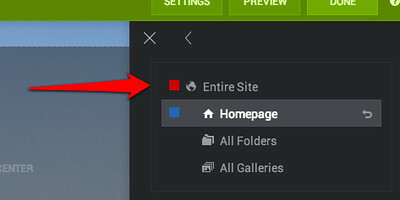 Simply click the Organize button at the top of you homepage. Once inside the Organizer menu, choose Create > Page and call it something, like "About Me". We'll drop you on your brand-new, clean slate page. From here, you can customize and add in any content blocks that you wish, in virtually any configuration you want! When you're happy with it, publish your changes. Open up customization mode and mouse over your menu bar. You'll see that it indicates that this box appears across all pages of your site, just FYI. Click to edit it and add a new link, then find the link to your brand-new About Me page within the 'Pages I Choose' picker menu. 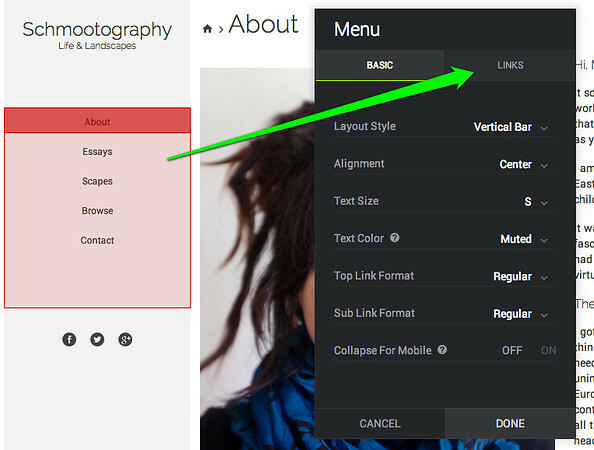 Tip: Don't forget that you can drag to rearrange the different links in your preferred order. You're finished! Was that so bad? Hi there! You're right - we've changed a few of the menu's around since we wrote this article. I'll get that fixed right away. Thanks! There seems to be an error in the directions. Step 5 says to click on the Organize button, but you must click on the Create button to add a new page and be taken to it to edit its contents.